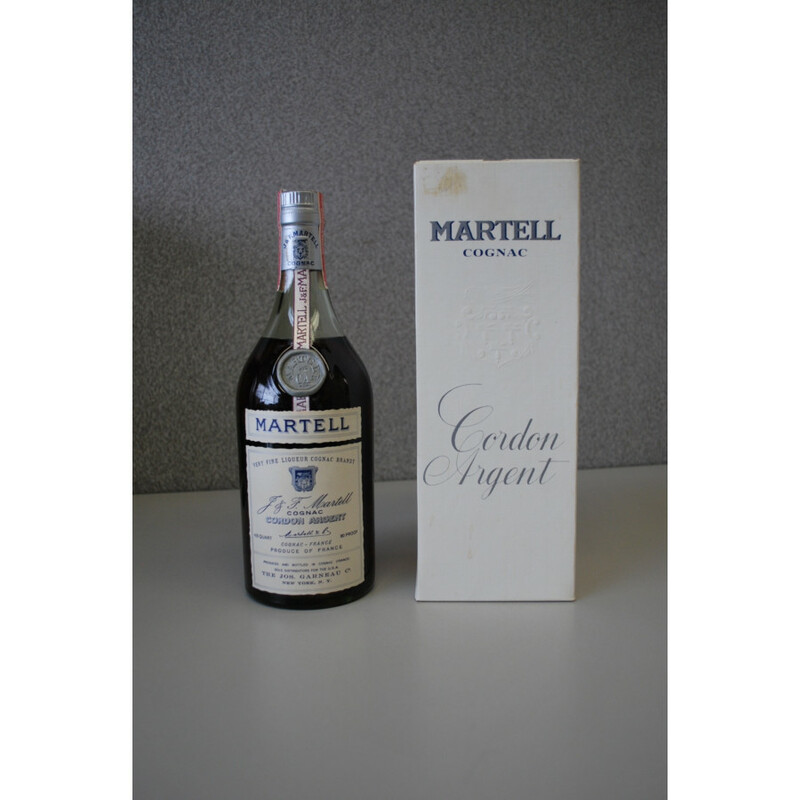 Presumably 1960s US edition of the Martell Cordon Bleu Cordon Argent. 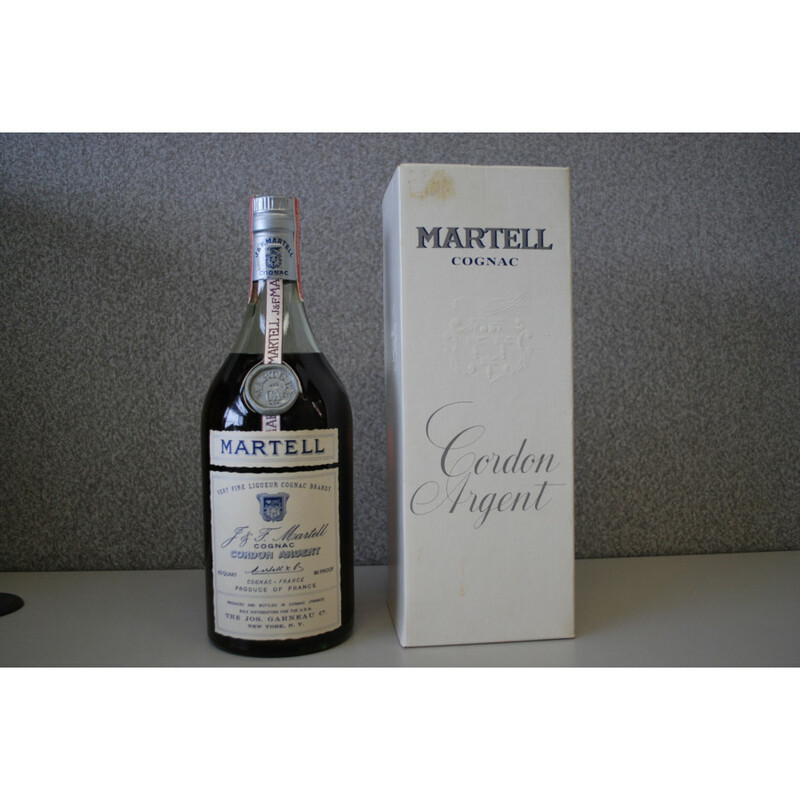 This type of design was introduced in the late 60s, but the importer clearly states that this bottle was sold after 1968. 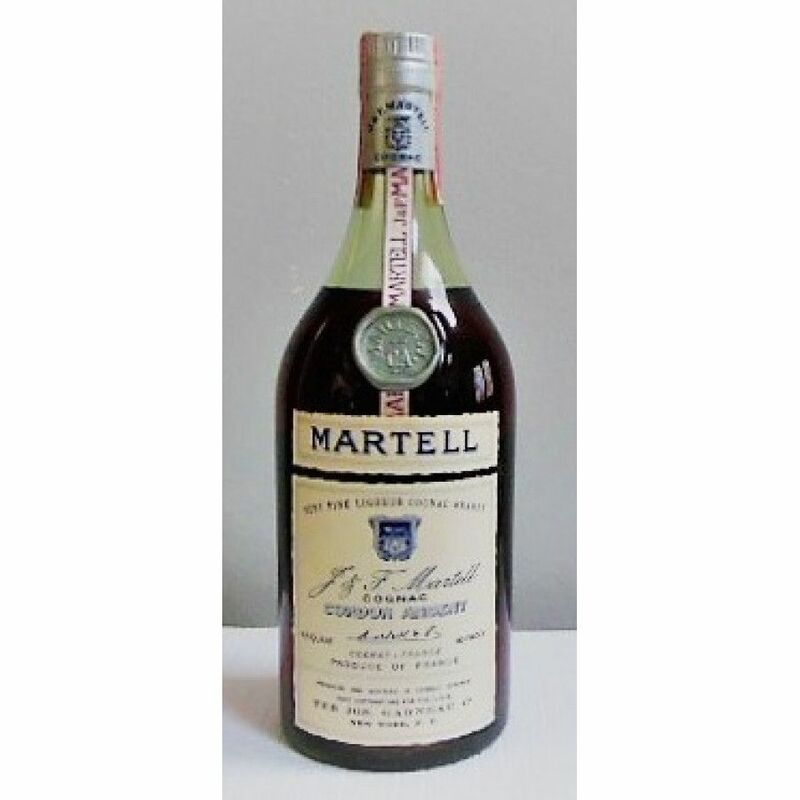 Written on the label: Ribon J & F Martell Stamp Martell CA Tax Stamp international Revenue Tax Paid CIN-1-67 US international Revenue 485991676 Distilled spirits. 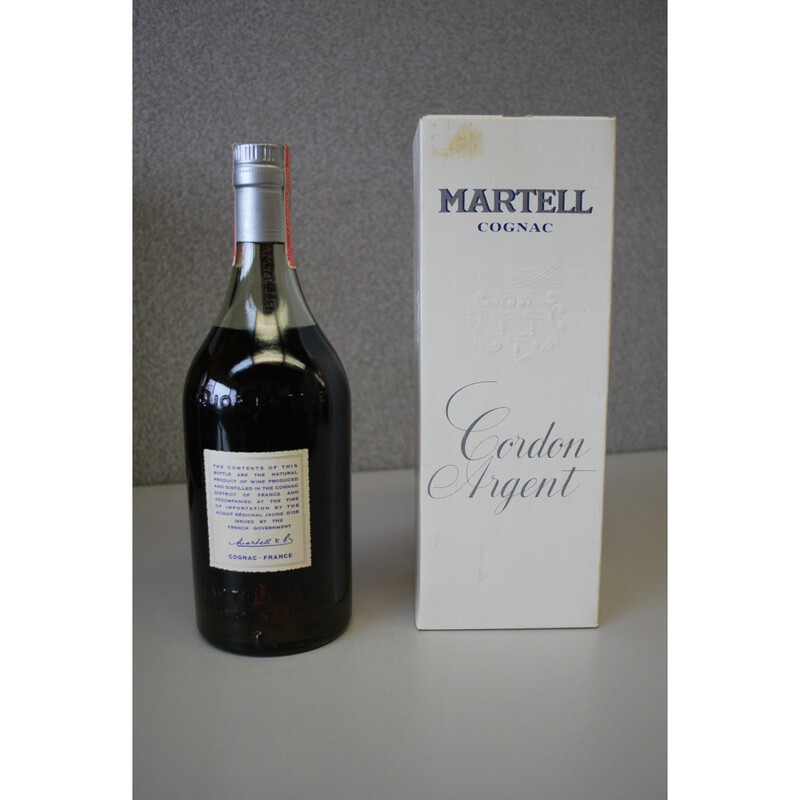 I bought the bottle as a Christmas present for my Husband he loved Cognac and good cigars. 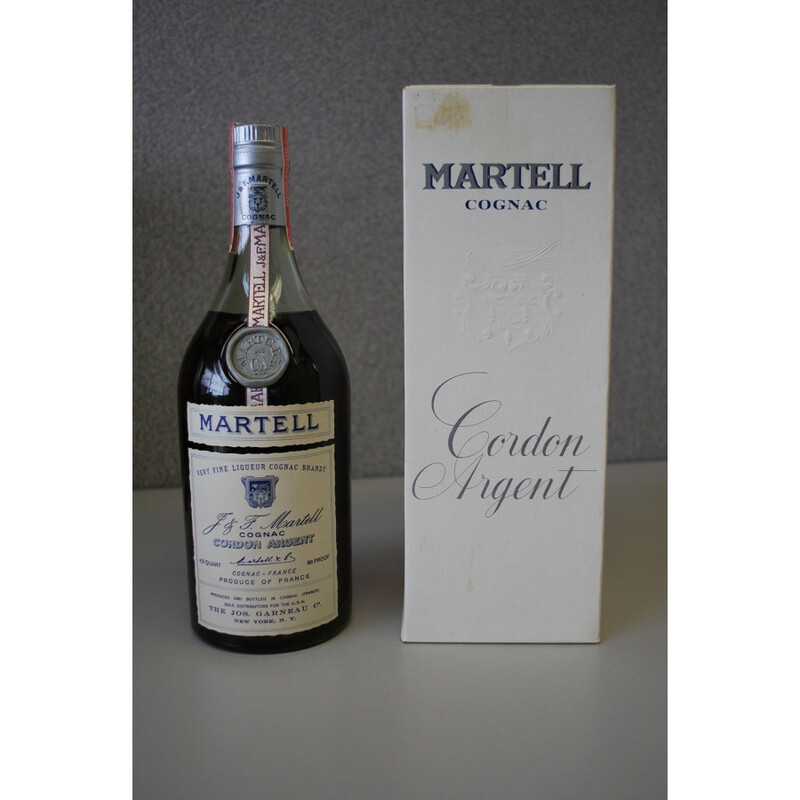 He died in 1991 and the bottle never got opened. I was told at the time of the purchase this was the only bottle available in the Chicago Area. The original box has a smug at the top where the price was removed I think someone that knew what they were doing could clean that. I would ship if that would be acceptable. Private Seller from USA. Stored at room temperature. Everythings seems fine. All duties paid.